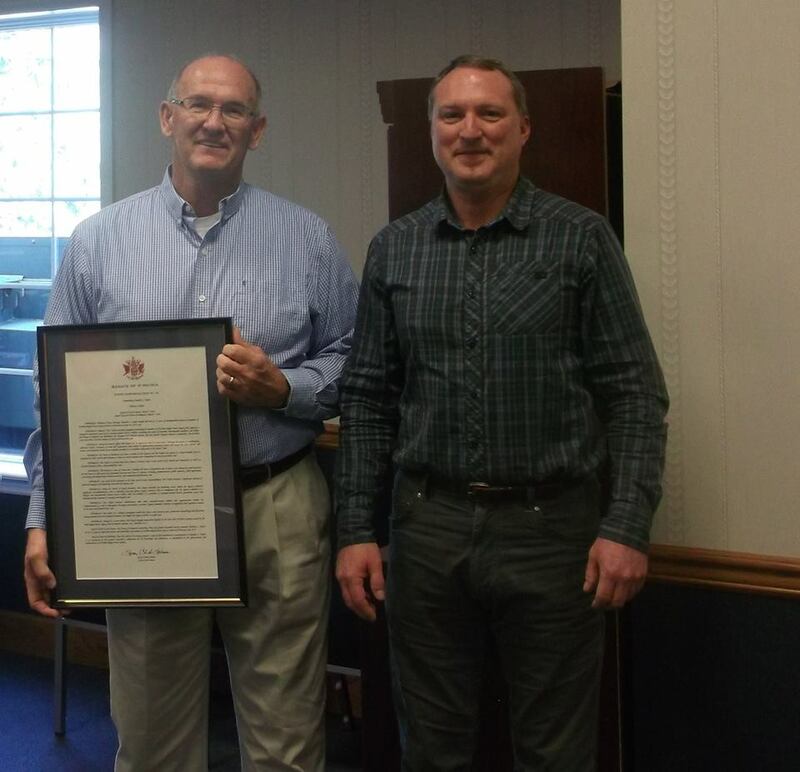 On April 12, 2018, the Board of Directors of the Blue Ridge Power Agency recognized Tim Taylor for his 15 years of service as the Board President. Tim, in his role as Town Manager for Richlands, has served as a board member since the Agency was founded in 1988. On January 1, 2002, he stepped into the role of President, where he continued until June 30, 2017. During Tim’s tenure, he led the Agency through the replacement of long-term power supply contracts, created a collegial atmosphere that fostered open, productive networking and discussion, and oversaw collaboration with other consumer-owned utilities and organizations within the Commonwealth of Virginia and across the nation. As Town Manager, Tim has many demands on his time, but he has remained committed to the Agency and continues to serve as a Board member. Durwin Joyce, Electric Director for Martinsville and current BRPA Board President, presented Tim with a framed copy of Senate Joint Resolution No. 183. 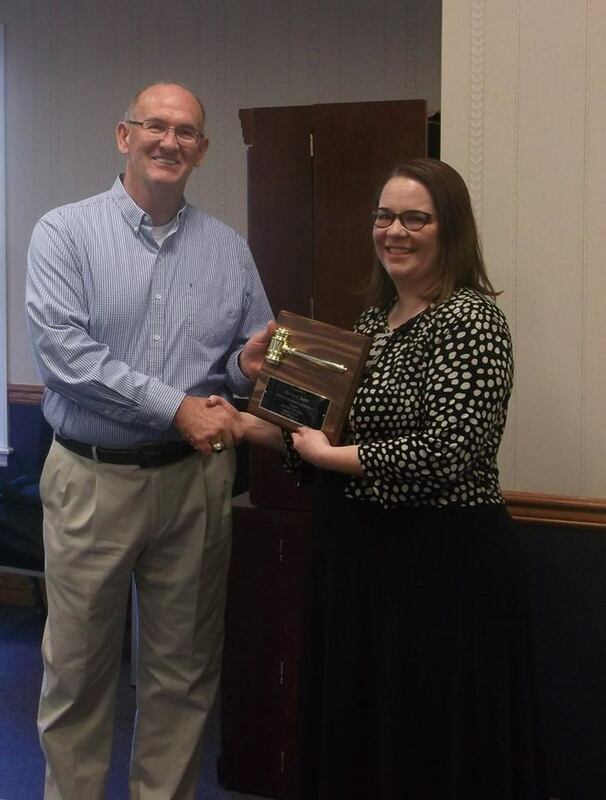 Alice Wolfe, BRPA General Manager, presented Tim with a plaque. The group also enjoyed a luncheon attended by Richlands staff and Tim’s family. Thursday, April 11, 2019, 10:00 a.m.